To join this badge, first you need to sign in or create a new account. To qualify for this badge, you must have attended the HL7 FHIR DevDays 2018 event that took place on June 19-21 in Boston, MA. 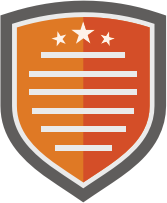 To get this badge, join it and submit the required evidence. 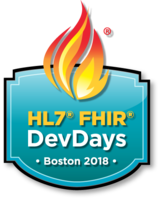 To obtain this badge, you need to have registered and attended the HL7 FHIR® DevDays 2018 event that took place June 19-21, 2018 at the State Room in Boston, Massachusetts. Whether you are new to FHIR or a seasoned coder, our tutorials and hands-on sessions will offer you the opportunity to dive deeply into FHIR. Together with your peers and side by side with experts, you will be listening, talking, asking and getting answers about everything FHIR, sharing intensively to make FHIR even simpler. HL7 FHIR DevDays is is the most important and largest FHIR only event in the world. IT professionals in healthcare gather to learn about FHIR in a collaborative environment. The three pillars for the Developer Days are: education, sharing of ideas and networking. The event offers a combination of interesting keynotes, a wide variation of tutorials, hands-on sessions which create a unique chance to work side by side to answer any questions, and unique networking opportunities during lunches and evening activities. Badge List is made in San Francisco by Knowledgestreem.